Story: My wife’s uncle passed away and this was all in his home. He fixed electronics on the side and sold them. 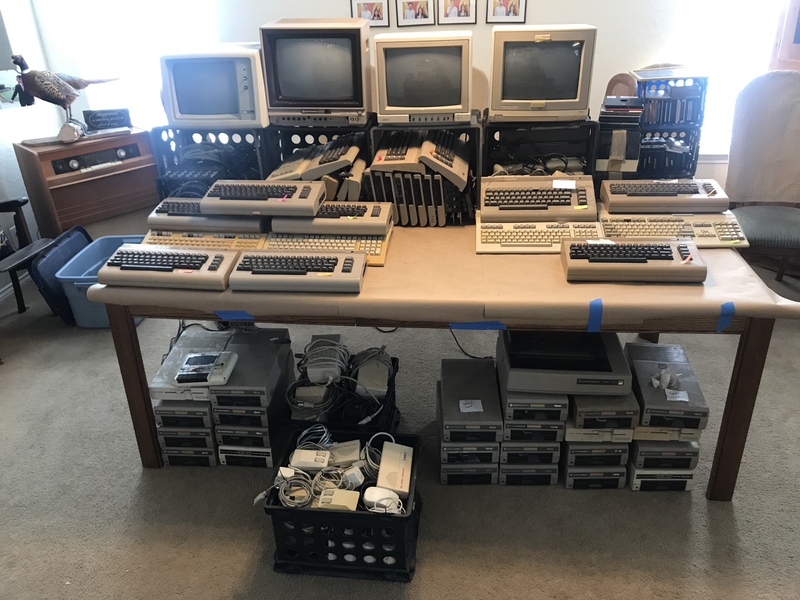 So after going through the house and garage, this is the massive collection of Commodore Computer stuff. I plan on selling it because I definitely don’t have room for it all, nor will I use it. Very Nice, To bad there aren't any 1581 drives. Excellent job. Too often when someone dies this sort of stuff winds up in the trash. LOL, I got into this hobby when my son-in-law's grandfather died and he decided to give me the PCjr setup they found in the basement. That "free" system has cost me a lot! The hobby has given me a lot or pleasure though and I hope even more when I retire and have more time for it. PCjr, DTK PC-XT Turbo, 386DX 33, 486 laptop, Pentium 120, Pentium III 500, various old laptops, Commodore Colt, all working. I also have a 286 that I need to see if I can repair. Not too shabby! Looks like you have oodles of part systems there too, and even a little Amiga stuff. I'm looking to buy a C64 and 1541 drive. Can you please contact me to talk about price and shipping? I also have a C128D that needs reapiring, anyone know of a repair place in Australia? I was really glad I was able to save it!